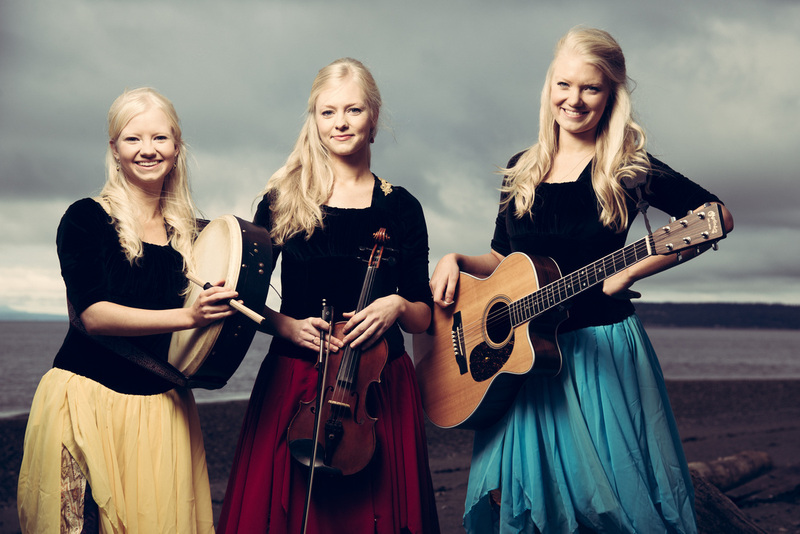 The Gothard Sisters are a dynamic all-female Irish music and dance group from the Pacific Northwest, USA. From sad folk songs to upbeat dance numbers these girls show that celtic music is alive! Big thanks to Grant Hoernke who emailed me and showed me the wonderful music these girls are making. As stated about they are very Dynamic and powerful in the songs they write and cover. Truly a special bright light that we all need in our lives. So what is music? Well according to these sister whether it’s Folk or not, it can be the celebration or the mourning of life. Either way we are all in this together singing and dancing. That’s a powerful statement if I’ve ever known one. These three siblings play a wide range of instruments and sing and even dance! needless to say they are always searching for ways to entertain and sharpen their skills. Most amazing is their always melodic and serene approach to every song they create. Be prepared to always feel at peace when listening to any of their songs even the dance numbers! James West: Can you tell me where the idea to become a band came from? Greta: We’ve always loved playing music, and one day realized that we could do it together as a sibling group. Although at first we actually had a Celtic rock band with some friends, and then we decided to go off on our own and explore what we could do as three sisters playing in this fabulous genre. James: Being accomplished musicians and dancers in your own talent, what are the advantages to working together on these things as siblings? Greta: All along we’ve studied the same skills, so it’s fantastic to all be able to speak the same language! We can really coordinate together with the same skill base, and then branch out together and try new things. James: What goes into creating an album? We put a lot of thought into selecting the songs on an album – a mixture of our own originals and new arrangements of traditional songs, plus making sure there is a lot of variety in mood on the album. After it has been mapped out, we can enjoy the recording process. James: What was the first gig you played as The Gothard Sisters? Greta: it was probably a wedding ceremony, although we weren’t technically a performing group yet, just a violin trio. The Gothard Sisters became an actual show a bit later on. James: How many days out of the year are you on the road in support of your music? Solana: We’re on the road for about a third of the year, usually, doing live performances. James: If you each could take only one thing with you on the road that isn’t an instrument what would it be? Greta: I would bring books to read and a notebook to write in, Willow would bring a craft, probably a knitting project, and Solana would love to bring baking supplies if she could, but that’s not very realistic on the road, unfortunately. James: Irish music is known the world over by movies such as The Hobbit that touch upon the stylings. Has entertainments take on Irish Folk music helped bring in an audience to your music or live shows? Greta: Irish folk has really had a renaissance lately, although it has been around for many many years, of course. We listened to a lot of folk music when we were growing up, from countries all over the world and there is so much heart and spirit in cultural folk music. It’s music for a purpose, usually – to sing together at gatherings, like what we would consider “campfire songs,” or to play for dancers and celebrations and festivals. There is music for expressing unbelievably sad things – music for departed loved ones, for those fallen in battle, or for lost love. But there is also so much joy in them – there is a lot of hope. And I think that resonates with people, whether they’ve heard the music before or not – it’s the people’s music, that’s why it’s called “folk.” And I love that! James: With Compass being your latest album, how have you grown as musicians on this album compared to your previous works? Willow: we are always trying to grow as musicians, and as writers and performers! So hopefully each album has it’s own story to tell as well as a better level of skill. James: A question to Willow: How many hours go into making your outfits and how many have you made so far? Willow: One set of dresses typically takes several weeks of work since they are handmade, not including the time spent searching for materials. Once they’re finished, we wear the same dresses for all our shows – kind of a like a uniform, which is wonderful because as soon as we’ve decided on something we don’t have to worry about constantly finding outfits to wear onstage, which can be very distracting. James: A question to Solana: It’s been stated in your bio you are self taught. My question is what singers have influenced you to sing the way you do? 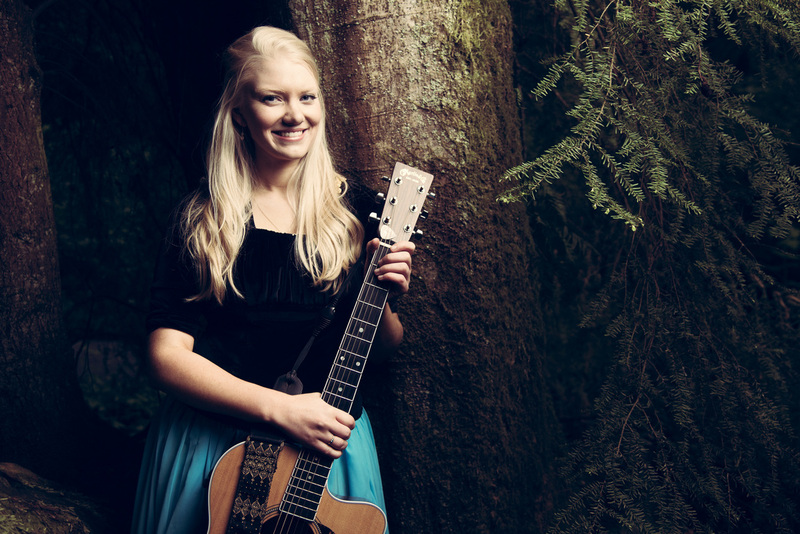 Solana: I would have to say that Sarah Watkins from Nickel Creek, Enya, and Mary Black are some of my favorite female vocalists- they have such a pure but strong style, which is fun to experiment with. James: A question to Greta: How has playing guitar helped you create your parts in the songs? Greta: I love having a chordal instrument to write with. Violin is brilliant for melody, but it can be hard to structure a song well without knowledge of chords and how they all go together. Please, there is also the rhythmic element of guitar that can also help a lot to write songs! James: Thank you for taking time to answer my questions it’s greatly appreciated. Do you have a message you would like to give the readers of Contrast Control? 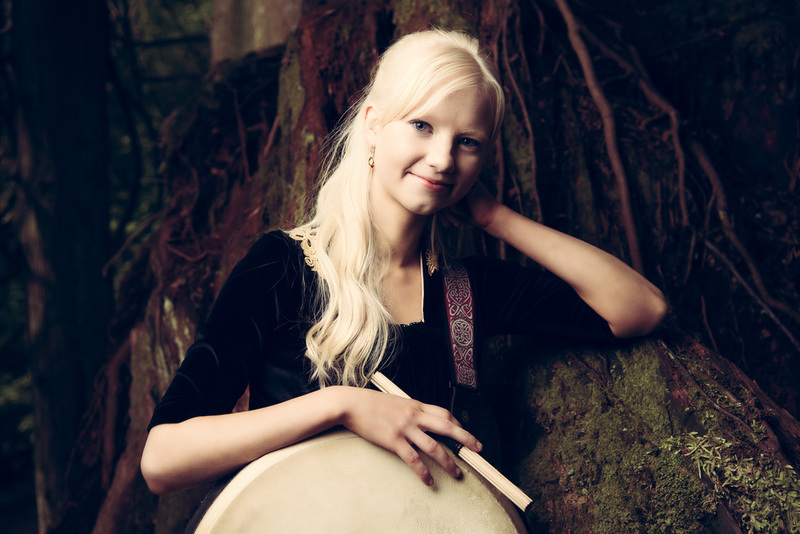 Greta: If you are not already a fan of Celtic music, give it a try! It’s a fantastic genre with something for everyone. And if you like that, go and see a live show sometime or go to a Celtic festival. Adventure awaits! There you have it from the source. Life is adventure and Folk songs are an excellent outlet to express thoughts and bring in people collective to celebrate or mourn life. Truly some deep roots in all music come from Folk. Whether you like the genre or not, These sisters truly bring a special sound to music and are deserving of a listen. I’m happy to add them to the Contrast Control family and into my music collection. 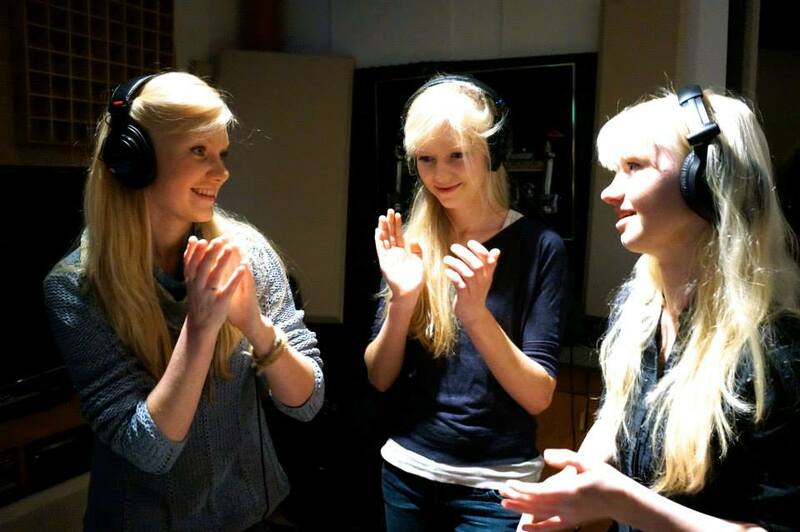 Hopefully many others will do the same and celebrate music with The Gothard Sisters! Contrast, Control, Dance, Feature, Folk, Gothard, Interview, Irish, James, Siblings, Sisters, West. Bookmark.